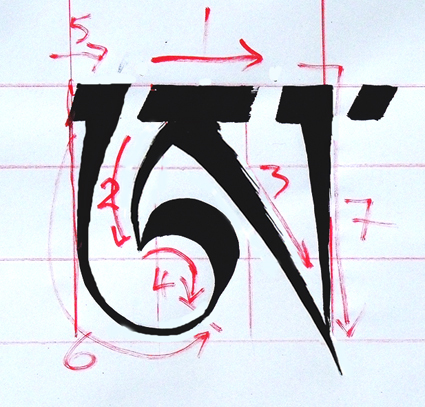 The last and root letter of the Tibetan Alphabet 'a'. of it's construction. Photograph by Jayarava. 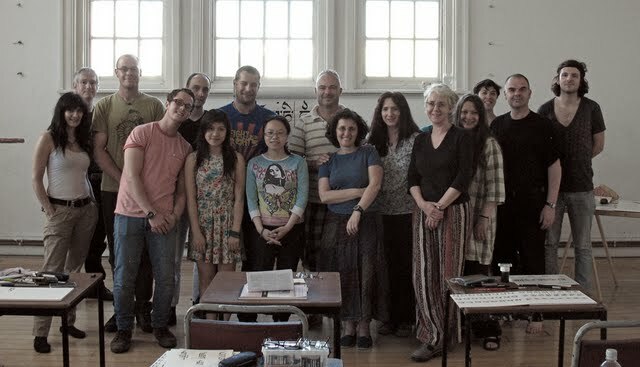 The Tibetan Calligraphy weekend workshop held in London, 25th-26th June 2011, was an all round success. 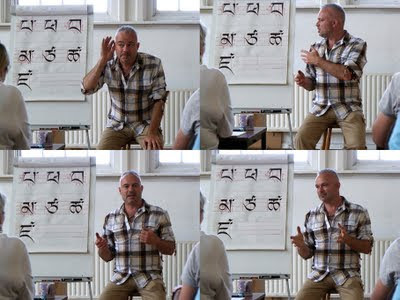 Two long days of intense instruction from Tashi was just enough time to focus on the Tibetan alphabet, vowel signs and a short demonstration and explanation of the Mani mantra, all in the Uchen script style. Each letter of the alphabet was individually explained in proportion and construction, using the traditional grid method as a guide to achieve well formed lettering. Tashi marking out construction lines. Among the workshop participants was Siddham calligraphy expert Jayarava, who runs the Visible Mantra : Buddhist Calligraphy website and blog. 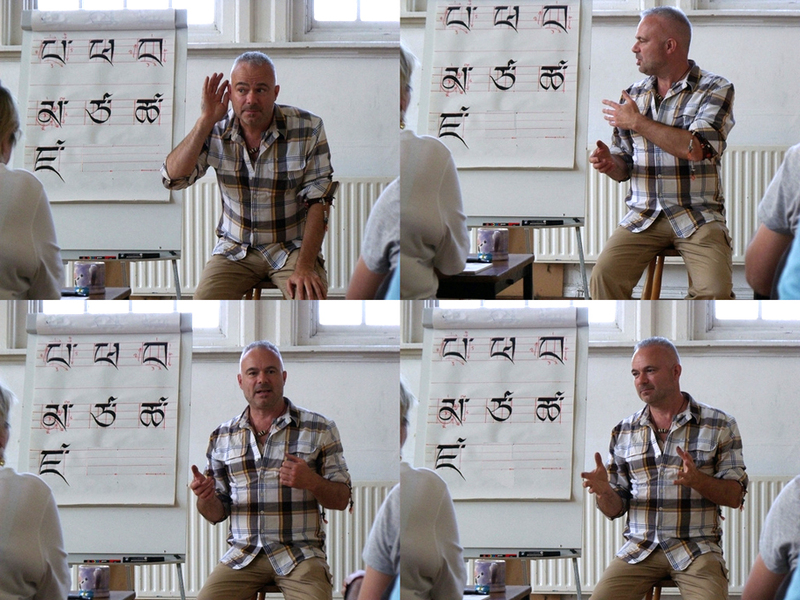 "What a pleasure it was to spend time with Tashi learning Tibetan script. His years of discipline and training show in his sure hand when writing! It also shows in his gentle manner. Though he's a master of his art there is no arrogance or impatience in his approach to writing or teaching. As a self-taught calligrapher I realised what an advantage having a teacher is - I learnt more about calligraphy in 10 hours than in the previous 10 years of learning from books." I only wish I had been a better student and my own hands were not so clumsy these days!" 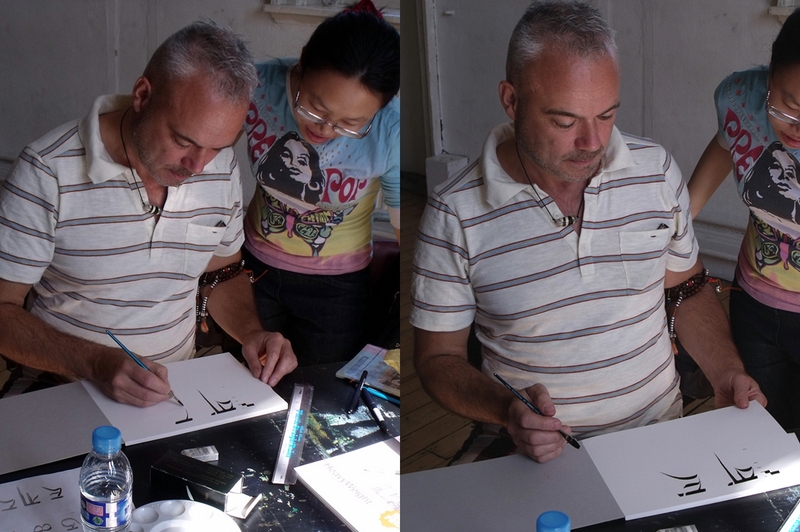 Another participant was Paul Antonio who describes himself as a scribe, but more specialized as an expert in the various script forms of European calligraphy. He is a successful calligrapher with many notable clients such as appointed to the British Royal family. 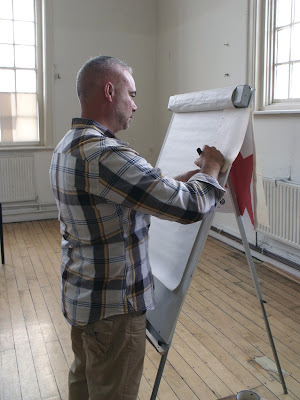 Paul who also runs courses in calligraphy, was a fine example of how to sit with the correct posture to maximize the ease and flow when writing. During the workshop, Tashi gave personal attention to each participant, instructing and guiding every individual to better their hand in the art of Tibetan Calligraphy. Personal instruction. Photograph by Jayarava. 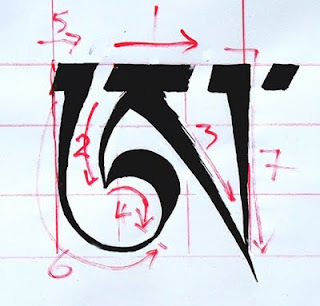 Further explanation on this blog about writing Tibetan, especially the Uchen Script style can be found here, as well as an explanation of the several other Tibetan script styles are shown here. Any Future Courses and workshops with Tashi Mannox on Tibetan calligraphy will be announced in due course on this blog. If you would like to follow this blog, you can do so by clicking on the 'google' follow button on the right column from here.